Instagram is growing by leaps and bounds. The photo-sharing community now enjoys more than 300 million monthly active users, an increase of more than 100 million since March. Perhaps more importantly, the milestone puts the social service ahead of Twitter’s 284 million monthly active users. Instagram users are sharing more than 70 million images each day that pull in an average of 2.5 billion “likes.” In total, users have shared more than 30 billion photos. Yeah, that’s a lot of pictures. In an interview with CNBC, Instagram CEO Kevin Systrom said they are seeing a lot of people join the site in the world of fashion, in the youthful teens world and internationally. True enough, more than 70 percent of Instagram’s users reside outside of the US. 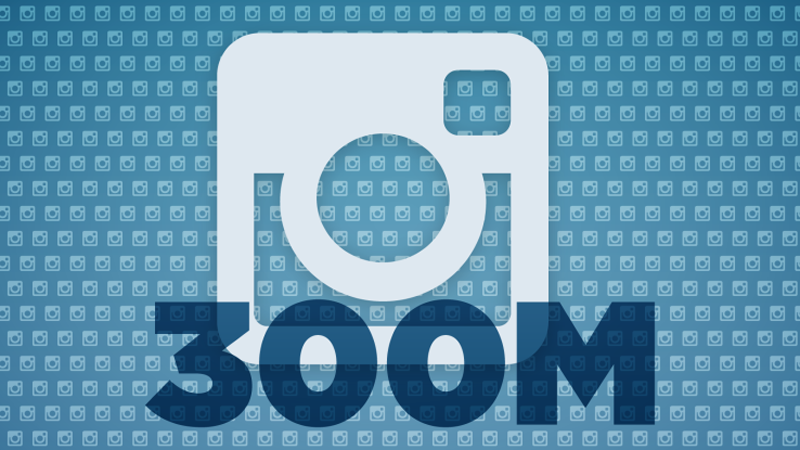 Whether or not Instagram can maintain the unprecedented growth remains to be seen. Systrom admitted that was the biggest challenge for him and his team and one of the ways they aim to do that is to make it easier for people to discover new content and find new people to follow. In related Instagram news, they’re working on rolling out verified badges for celebrities, athletes and brands. The move will help Instagram cut down on the creation of spam accounts to keep the experience as authentic as possible. Many of the existing spam accounts are also being eliminated, he added. If you haven't had a chance to try Instagram, you can download it for Android here.